Crashes involving big rigs, 18-wheelers, tractor-trailers, and other large trucks differ from traditional car accidents in that they often result in more critical injuries and other damages. These incidents may also involve more than one at-fault party. 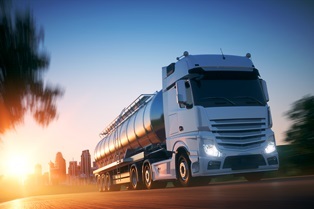 A truck accident can change a person's life in a flash, leaving them with catastrophic injuries, unmanageable accident-related medical bills, and other losses. Georgia law allows truck accident victims to file a personal injury claim in civil court to seek compensation for economic and non-economic damages. This financial recovery might include medical expenses, property damages, lost wages, loss of income, pain and suffering, and mental anguish related to the crash. Being involved in a truck accident can take a devastating toll on a victim's finances—even if they weren't at fault. As a result, individuals are often eager to obtain their compensation sooner rather than later. Settling a truck accident claim out of court eliminates the need for a lengthy trial and can help victims get their money faster. However, settling a claim too quickly comes with numerous risks. Because the terms of a settlement agreement can't be altered once accepted, truck accident victims should avoid finalizing their claims until they've reached what's known as maximum medical improvement (MMI). Ideally, before settling, victims should understand the extent of their injuries, as well as their prognoses, including the likely length of recovery, potential for the condition to worsen, and its anticipated effects on their ability to hold a job, or maintain personal or professional relationships. If you were hurt in a truck accident, a knowledgeable personal injury attorney can help you determine the most beneficial time to settle. “Don't sign anything without first consulting an attorney,” is a cardinal rule in personal injury litigation. Because when it comes to settlements, you can't put the genie back into the bottle. So it's vital to ensure you understand your rights and options before making a legally-binding commitment that might not be in your best interest. Do you have questions about a Georgia truck accident case? Contact Van Sant Law today to schedule an appointment for a free consultation.